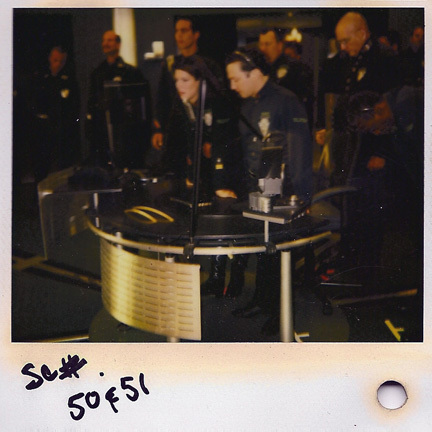 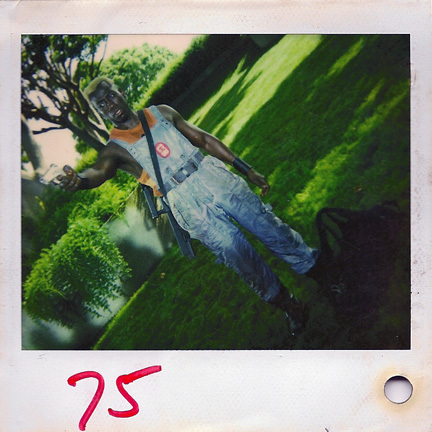 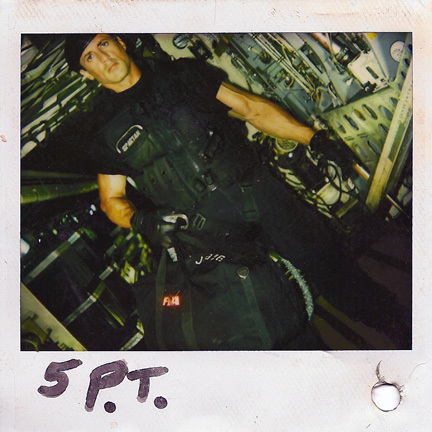 This set of continuity Polaroid photographs were taken during the production of the 1993 motion picture “Demolition Man” starring Sylvester Stallone, Sandra Bullock, and Wesley Snipes. 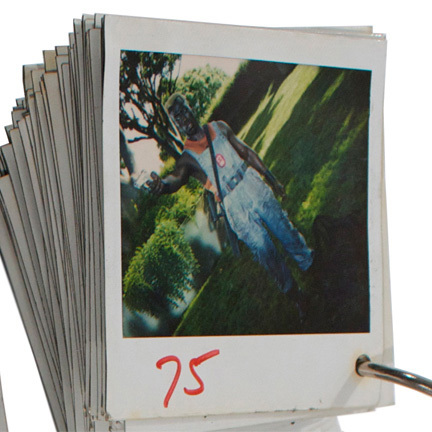 The lot consists of approximately 175 one-of-a-kind Polaroid pictures attached to 4 separate steel rings. 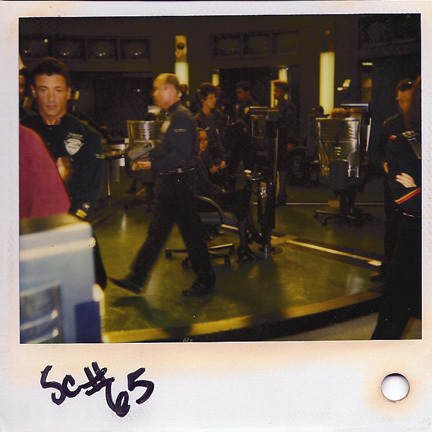 Many of the photos have handwritten notes made by the film’s Prop Department that provide fascinating insight into the “behind the scenes” technical details involved in the production. 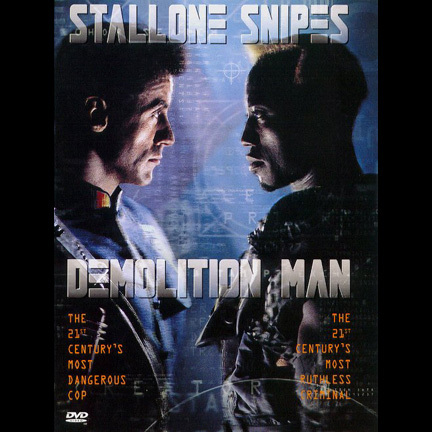 Images of principal characters such as “John Spartan” (Sylvester Stallone), “Simon Phoenix” (Wesley Snipes), and “Lenina Huxley” (Sandra Bullock) are included, along with images of numerous secondary characters, props, and set dressings. 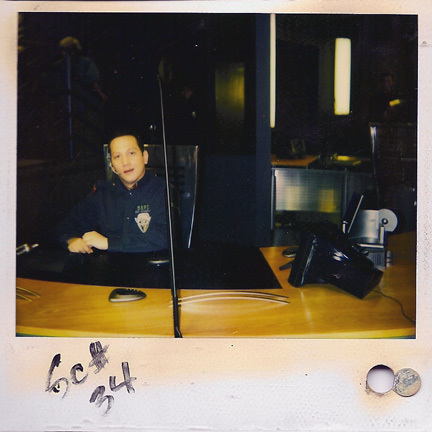 The photos were used by the production’s Prop Departments for visual reference to ensure continuity between takes while filming. 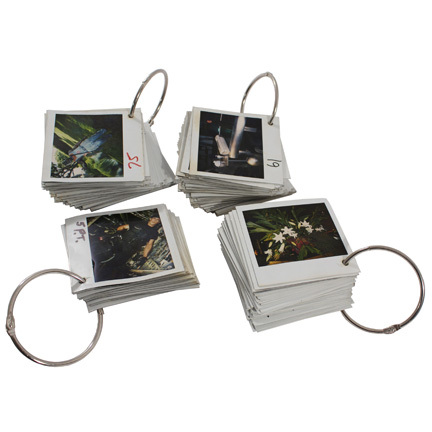 The photographs are in good condition with minor evidence of wear from their use on the production. 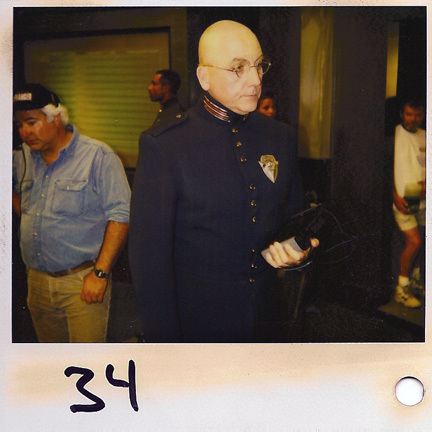 Accompanied by a letter of authenticity from the film’s property master.